The GWRL & Museum has moved because in 2010 the “Westmore Academy of Cosmetic Arts” was purchased by Empire Beauty Schools @ www.Empire.edu. Sadly after two years, (March of 2012) Empire decided, because of the nation’s continued economic problem as well as the US Bank’s reluctance to issue educational loans Empire announced it would not maintain the Hollywood/ Burbank Makeup School. Empire has over 107 location across the United States. The GWRL&M was not part of the Makeup Academy acquisition and thus continues to operate as a separate entity. 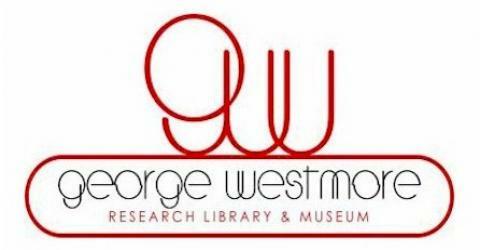 Currently, The George Westmore Research Library & Museum is reviewing new educational opportunities, looking at new locations, and developing exhibits with local museums and educational institutions for special traveling exhibits. “We hope to find a new location that will provide us with an opportunity to serve the needs of the community, along with the film industry, giving everyone a strong foundation for our history as well as creating a new appreciation for makeup and hair design as a lasting cultural art form. Currently we are developing exhibits with local museums and educational institutions for special traveling exhibits. If you are interested we would like to hear from your professional curator. Marvin’s Grandfather, George H. Westmore was responsible for founding the very first makeup department at a motion picture studio in 1917. Prior to that time, actors in film production came from stage performance work, and in most cases applied their own or assisted their fellow actors with makeup application. In the history of the modern American movies, there are but few legacies of makeup artists. Only one family features four working generations: The Westmore’s of Hollywood. With ties to virtually every studio in the annals of cinema, The Westmore’s created classic beauty makeups that have stood the test of time since the earliest years of silent film and emulated around the world.